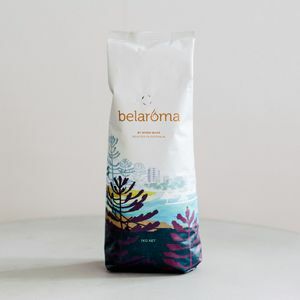 Founded in 1968, Belaroma has been a part of the Australian coffee landscape for over 50 years and as our business’s founding coffee brand, remains at the heart of our portfolio. Today, we continue to champion coffee excellence through our passion for coffee quality, consistency and freshness. Our blends are a careful selection of coffees from around the world, blended and roasted to reveal the incredible spectrum of flavours and aromas coffee has to offer. Read more about our history, and where we are headed on the Our Story page. Octavia is a light/medium roast of outstanding complexity and smoothness. It is a blend characterised by milk-chocolate sweetness and clean acidity, combined with notes of creamy malt. Octavia makes a great all-round blend, with enough sweetness and acidity to stand alone as an espresso or long black, and enough body to make a beautifully balanced Flat White or Cappuccino. Julius is a medium-roasted blend that combines a robust base with spicy highlights. Rich flavours of dark chocolate are balanced with notes of sweet spice. An excellent choice for milk-based coffees. Named after Julian, who has been a part of Belaroma’s journey for over 35 years, and who helped create this blend. Belaroma coffee has been at the heart of successful cafes throughout NSW, QLD, ACT and beyond for decades. Backed by the professional support of the Seven Miles wholesale team, Belaroma coffee is supported by the best equipment, training and service. Even though the cafe business never stands still for long, our commitment to consistency, support & relationships built on respect still remain how we do business.